And that's a Wrap 2017! Disclaimer: Yes, I know it's been nearly 5 months since our last blog post and this will never happen again I PROMISE. Blogging on a weekly basis is one of our 2018 Resolutions! As I sit here staring at this photo, it's hard to believe 2017 is nearly over. What a crazy, but exciting year it has been. Where do we begin to describe everything that has happened? We started the year with a few new members on our team and they were ready for any challenge to come their way and they were wedding hungry. We officially kicked off wedding season in March and formed some great new partnerships with vendors and venues and are excited to continue to foster those relationships into the new year as well as other amazing vendors with whom we have loved working with over the past 12 years. As for our favorite memories are highlights for the year, honestly there were too many to pick just a few. In July, we were lucky to have two of our former EA Wedding Planners tie the knot. 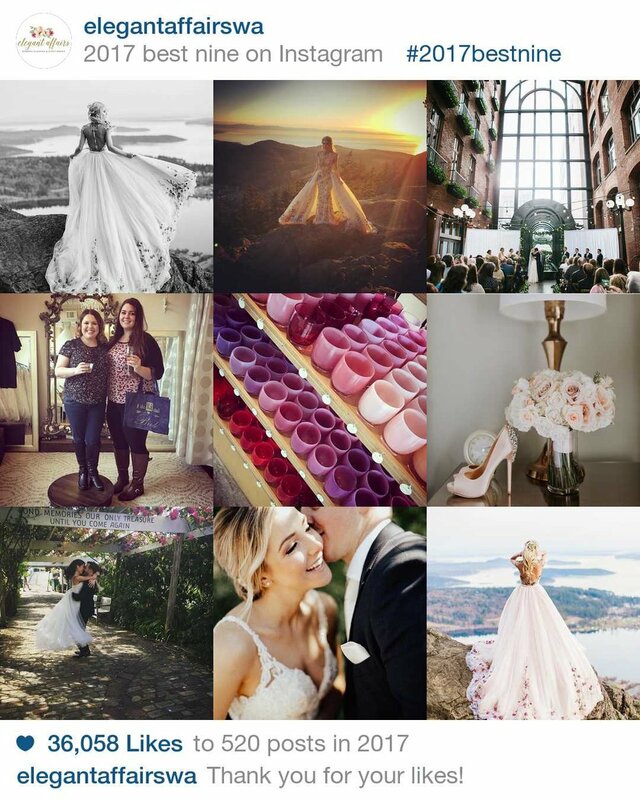 From Jen marrying her college sweetheart Cole up in Roche Harbor to Kim marrying her childhood sweetheart Chas at her family's home, there were a lot of tears and laughter watching members of our family complete the circle of wedding planner to bride. We were blessed to have several of our weddings and all of our editorial styled shoots featured on several websites including Seattle Bride, Modern Wedding, Wedding Chicks, Every Last Detail, and Borrowed & Blue. We have many more to come in early 2018 and cannot wait to share those with you too. There is one top secret project we worked on back in November and cannot wait to unveil it! We were asked to join with Blue Nile Diamond Company to style their commercial and print campaign just in time for engagement season and Valentine's Day! November was indeed one special month for us, not only did we have the commercial shoot, an editorial shoot (that will be unveiled soon) we launched Project Proposal. Partnering with one of our new photographers that had the pleasure of working with twice in 2017 and several times in January, thank you Erin Perkins Photography for collaborating. Lastly, we were blessed with all of our 2017 couples and cannon wait for all of our 2018 couples to have their big day. Stay tuned to see what we have up our sleeves.